Aerocon, Amaszonas and Creative Tours come together and present an alternative to the existing proposal to visit tourist attractions in the Andean region, the valleys and plains of the country. The presentation ceremony will be held at 19:00 on February 18, Hotel Europa, La Paz. 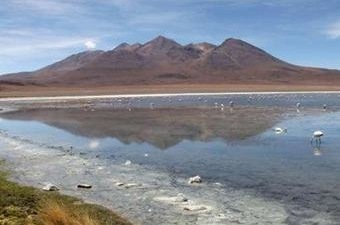 A diverse and accessible tourism Bolivia is the proposal of the three companies, which have in their offer the innovative Tayka route of the Salar de Uyuni, which leads to new attractions of the Andean region, and the path to the colored Lakes [green and red, you could see flamingos there], not known for tourism. The magic and the spectacular location of the community hotels Tayka, the excellence of its services and the frequency of daily flights to the Amaszonas airline to Uyuni are part of the offer. The charism of the Flotel Reina de Enin will also be offered, the stage of the protected area of the Bolivian river dolphin [bufeo], which runs its navigation, activities related to the River, forests of Gallery, the pampa and coastal indigenous communities, as well as terraces and their comfortable cabins equipped with all services will also be presented. And there is great access to Trinidad and the Flotel thanks to daily flights from La Paz, Cochabamba and Santa Cruz that favors the airline Aerocon. The presentation will be complemented with the new proposal for a must-see canopy in the grounds of the Hotel de Selva El Pueste, in the Chapare, natural pools as well as its location in 17 hectares of jungle. The excellence of their food and the freshness of their cabins. The event will have the participation of the canopy captain and Manager of the Hotel de Selva; the captain of the ship; the Manager of the community Hotel Tayka, and Jorge Rivera, Manager of these tourist innovation network. Complementing the presentations will be Luis Vera, Manager of Amaszonas and Nelson Kinn, Manager of Aerocon.